Automatic capture and recording of data during float, charge, discharge & idle. Compatible with float & intermittent charging. 80% of UPS failures are due to undetected battery problems. All batteries fail, its just a matter of time. If you’re operating mission critical systems and relying on the protection of a UPS and battery bank, then it has to make sense to have battery monitoring. It’s about peace of mind – knowing that the batteries are healthy and being constantly monitored. Knowing that everything has been done, that can be done, to protect your enterprise from the consequences of a power failure. 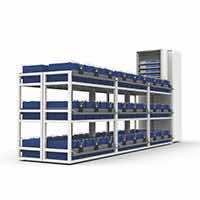 Sentinel System provides the most advanced and most cost-effective tool for monitoring and managing stand-by battery banks. PowerShield’s continuous data sampling, reporting and battery management capability delivers reduced costs, gives peace of mind, and most importantly – ensures that you have batteries that perform when needed. It only takes the failure of one battery to compromise the entire battery string. It is often assumed that batteries are meticulously maintained, but this is rarely so. 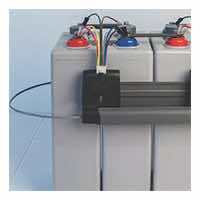 Many batteries are not inspected or maintained beyond an annual UPS service visit. Unknown and undetected battery failures become apparent right at the time when you need the batteries the most – during a mains failure. UPS systems provide only rudimentary battery monitoring. The UPS cannot identify faults within individual batteries, nor detect an imbalance in the performance of multiple strings. To ensure the integrity of the battery system, it is necessary to detect failing blocks before they affect the performance of the entire system. The effectiveness of a battery monitoring system is proportional to the number of points that are monitored and the frequency that this occurs. With regular monitoring comes the accumulation of data, the ability to report and spot trends, and the ability to take timely remedial action. Rapid voltage sampling – all batteries simultaneously every 4 seconds. Built in intelligence – battery state recognition & self calibration for reliable impedance. Flexible to suit battery model & application. 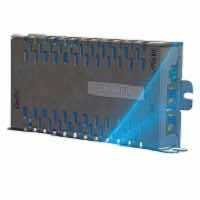 Designed to allow IEEE/IEC best practice. WAN/LAN integration for remote monitoring via Link software. RS 232 connection for local battery service and diagnosis. SNMP or Modbus interface to Building Management Systems. Dry contacts for alarm output. Power supply [10W]: 24V DC Model: 11V to 33Vdc, 0.8A max. 48V DC Model: 20V to 65Vdc, 0.4A max. 72V DC Model: 55V to 140Vdc, 0.15A max. AC Model 110V to 240Vac, 50/60Hz, 0.15A max. Hyper efficient Low Noise Switching Power Supply, accepts 8 – 60 vdc input. 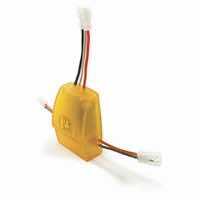 Can be powered directly from 12, 24, or 48 volt battery banks. Battery backed-up, real time clock. Eight 24 bit isolated voltmeters (+/- 100 VDC). Each voltmeter has its own 24 bit Delta Sigma ADC. Real Time Monitoring: Block Voltage, Block Impedance, Temperature, String Voltage & Current. Six layer PCB with Nickel Immersion Gold plating and red solder mask. 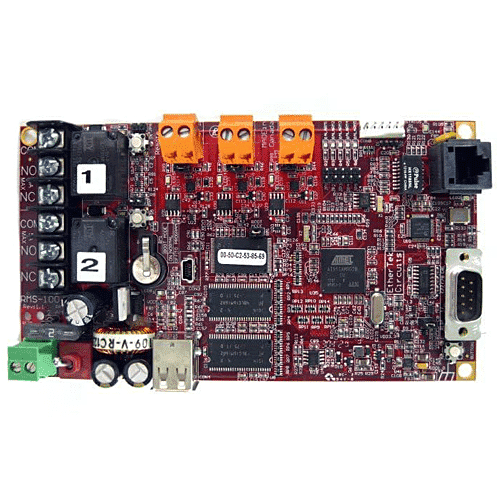 Dual Low Noise Switching Power Supplies accepts 8 – 60 vdc input. Can be powered directly from 12, 24, or 48 volt battery banks. 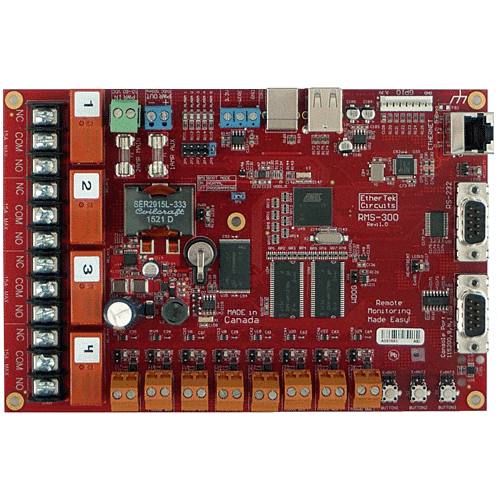 Battery backed-up, real-time clock.· One onboard temperature sensor –25c +100c. Two Power Relays for devices using 1 – 240v -5 amps AC/DC current. Full SNMP v1, v2, v3 support (default v3).